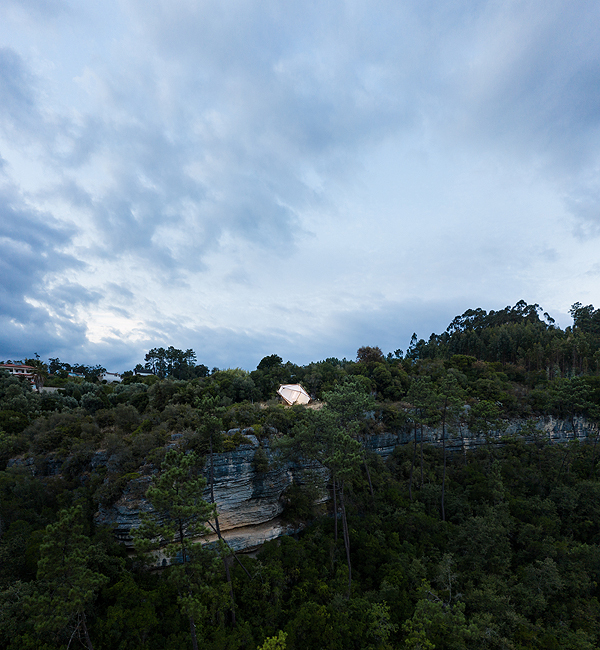 Didier Fiúza Faustino will show “A Home is not a Hole, Monument to emptiness” at the Guggenheim Bilbao from the 5th of December 2018 until the 28th of April 2019 as part of the exhibition “Architecture effects”. 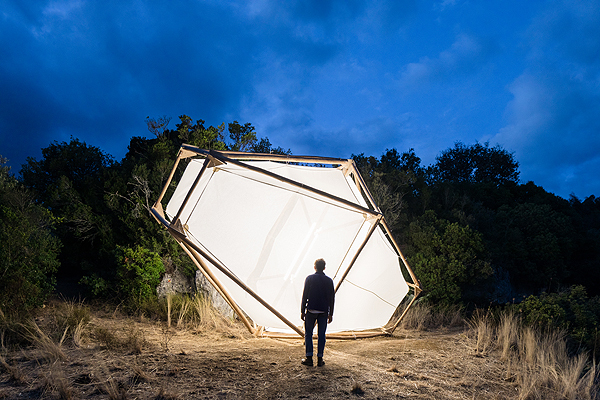 Curated by Troy Conrad Therrien and Manuel Cirauqui, the exhibition presents an innovative look at the correlations and connections between art and architecture in the digital era. 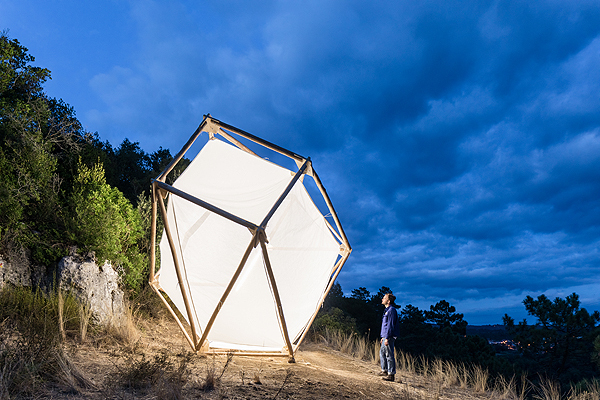 A Home is not a Hole is a volume formed by canvases stretched within a polyhedral exoskeleton made from skinned eucalyptus trunks, joined together by three-dimensional plywood connectors. 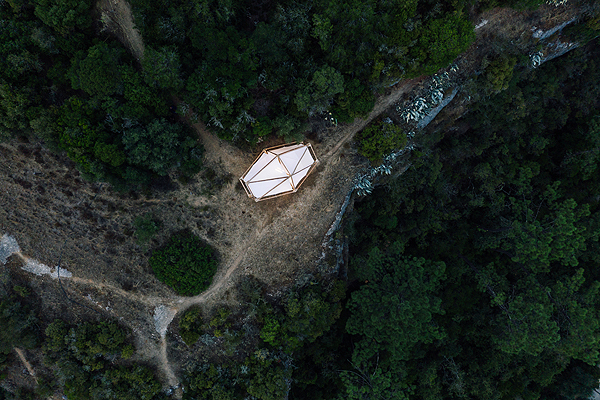 It is an ephemeral piece of architecture conceived for a plot of land on the prehistoric site of Lagar Velho, in the Lapedo valley of Portugal. “ A Home is not a Hole is a fragile piece of architecture, its balance is precarious and it does not fill any function. A Home is not a Hole is a monument to emptiness. A Home is not a Hole «è cosa mentale»” Didier Fiúza Faustino. The exhibition’s origin is the Guggenheim Museum building itself, inaugurated in 1997 as the first and seminal example of architecture carried out and made possible by means of computer technology, a paradigm of the communicative and economic “effects” that will redefine the success of this discipline over the following decades. Analyzing and linking it to other tipping points in the digital era, this exhibition draws comparisons with the current peak of a culture based on social media, artificial intelligence, and augmented reality. Identifying a series of works by contemporary artists as key indicators of the merger between communication, the economy, images, art, and architecture, the exhibition will also include specific interventions by some of the most influential and innovative architects and designers of our time.